One of the most wonderful places in Madhya Pradesh is Kanha, this is a tourist place which one must visit, when you plan a trip for Madhya Pradesh. Here you will find so many ultimate spots to explore like Kanha National Park. You will be experiencing amazing wildlife over here. One will also be receiving an outstanding accommodation like resorts with complete royal facilities and so much more. 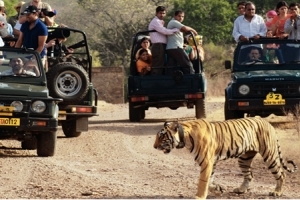 Apart from this, one can also visit the Kanha Tiger Reserve for the enjoyment and fun. 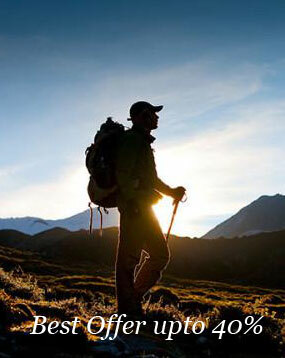 Approach us for this tour package and know about wonders of the world here. You will touch base at Delhi International air terminal, where you will be gotten by our agents and taken you to the inn. You will stay overnight in the lodging. Today, you will eave for Umariya, by overnight prepare. You will have your lunch and supper in the train itself and spend the night installed. You will reach Umariya at a young hour in the morning. From that point, you will be taken to Bandhavgarh National Park. In the wake of landing at Bandhavgarh, register with the resort. Spruce up and leave for a short outing of the National Park, which is situated in the midst of the Vindhya Range of mountains By night, you will come back to the resort for overnight sit tight. This day will be hold for going on a wilderness safari. You will investigate the timberland, loaded with Sal trees, bamboo, and other tropical woodland trees. 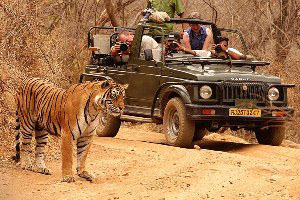 The rich natural life of Bandhavgarh incorporates tigers, white tigers, gaur (Indian buffalo), sloth bear, panther, porcupine, wild hog, sambhar and spotted deer. You will likewise investigate an old post fabricated at the height of 800 meters. Overnight stay will be in the resort. Today, you will leave Bandhavgarh for Kanha. Subsequent to coming to there, you will register with the resort. From that point, you will leave on a voyage through the National Park. The recreation center has numerous tigers inside, which can be seen inside of ten meters of separation. You will come back to your resort by night, for overnight stay and supper. Investigation of Kanha national park is still fragmented. Today we will go on a safari of the recreation center. You will leave your resort after breakfast to visit the recreation center. Here you will see tiger, deer, drowsiness, barasingha, guar, and wild puppies. Subsequent to going to Kanha, you will come back to your resort for supper and overnight remain. 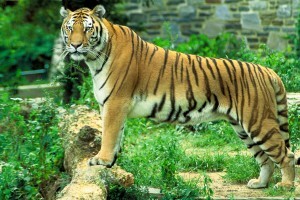 Kanha National Park is so extensive and loaded with rich untamed life that investigating it in one day is unrealistic. Today, you will have intelligent involvement with untamed life of the recreation center. Here, you see deer along the greenery, aside from langurs, wild hog, waterfowl and winged animals. By night, you will come back to your resort for supper and overnight remain. In the morning, you will leave Kanha for Jabalpur, where you will have your lunch. From that point, you will board the overnight prepare for Delhi. When you are venturing through train, appreciate the lovely surroundings on both sides of the railroad line. You will touch base in Delhi in the morning. From there on, you will register with the lodging and spruce up. Taking after this, you will leave on a short touring voyage through the city and visit Lotus Temple, Humayun’s Tomb, Akshardham Temple, India Gate and Connaught Place. By late night, you will return to the inn, gather you packs and leave for the airplane terminal.